On New Year's Eve, the last hours of 1999, Peter and his sister Marina got together to celebrate the entry of the new Millenium. Mr. Goudas planned to enter the new Millenium in the office, because he wanted to ensure that the Millenium bug did not affect his operations. We were all well warned in advance of the Millenium bug, and the possibility of shutting down computer systems, and state of the art computerized production machinery. Some time ago, he told his sister, he was planning celebrations at the office, although, many respectable organizations and embassies invited him to their celebrations. Even Trade Wars, it Seems, have their Casualties. The CFIA (Canadian Food Inspection Agency) reacted prematurely, and made an announcement on February 2, 2001, alerting the public not to consume imported products containing Brazilian beef. Within that period of time, certain programs, like CBC's Venture, aired this alert, which, it's topic of Brazilian Beef was very contraversial. "Mr. Goudas Olive Oil is the Best in the World"
Although extra virgin olive oil is very common, there are certain things people should know. The taste and flavor of the fruit are different from one region to another. 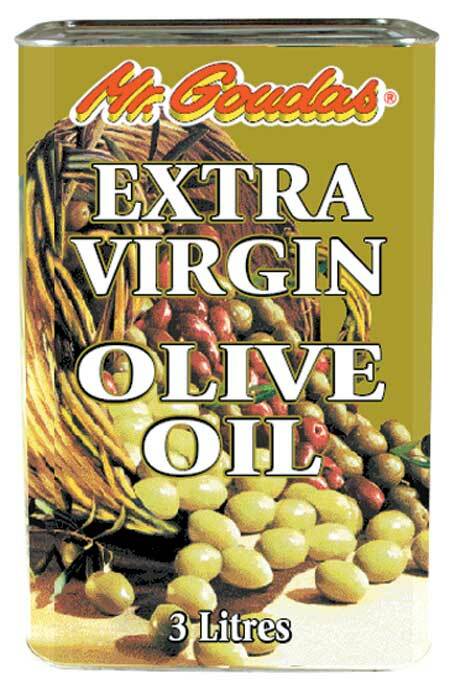 Technology has advanced so that you can synthesize motor oil to flavor olive oil. That is why the growers of olive in certain areas of Greece, make their own olive oil during the season, to have enough to last them for the year. This practice will ensure the user of a quality product. Globe: "Who is the mysterious Mr. Goudas, the guy who fills the ethnic-food section of just about every local supermarket. "The Trinidadians think I'm from Trinidad; the Chinese think I'm Chinese; the Indians think I'm Indian," the small, dapper man says. "But I'm none of those. I'm Greek." There really is a Mr. Goudas -- Peter Spiros Goudas to be exact -- but a Greek background is just one small part of his make-up. The once impoverished immigrant who built his fortune in Canada is the embodiment of just about every culture in the world." Mr. Goudas Awards to the Best Students for 2001. Mr. Goudas is a proud supporter of education. Every year, he provides Excellency Awards to distinguished students according to their grade reports, school activities, and general behaviour. 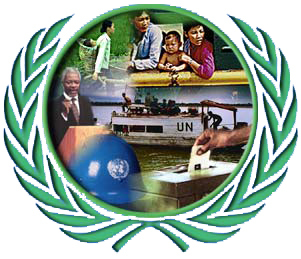 To watch the videos from the Award Ceremony of 2001, please click on the archives section. 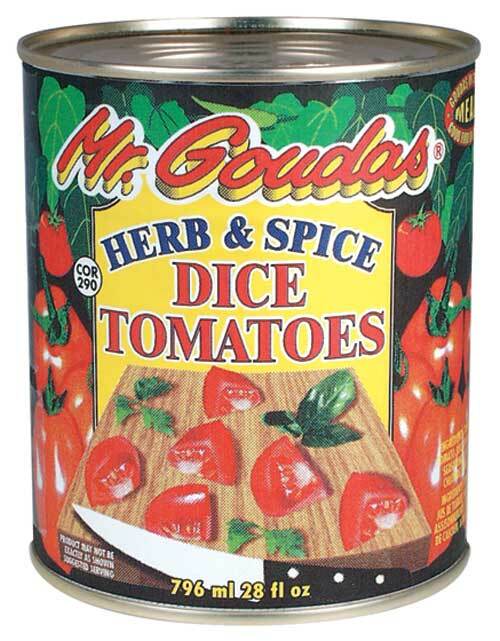 Mr. Goudas Herb Dice Tomatoes! Sautee the garlic in oil and add the ingredients, mixing slowly. Simmer for a while, and when done serve alone or over Goudas rice. Blue Lake & Lion brand, Mamma Lucia, Pride of Himalaya, Cakemaker, Lentilino, Tourlou-Tourlou, Star brand, Speedy Rice, Heavenly Bite, Garlito, Jewel of the Indies, Golden Feather, Tiranga brand, Tai-Tai brand, Snappy pop, Spinorizo, Golden Phoenix, Golden Dragon, Bambolino, Mr. Goudas, etc.) in their stores. 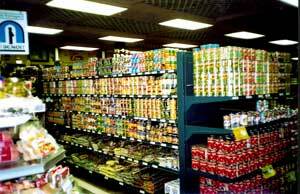 Under the direction of Mr. Frank Commisso, owner of Commissos Supermakets, Mr. Goudas stocks the shelves, with a product variety greater than 600 strong. 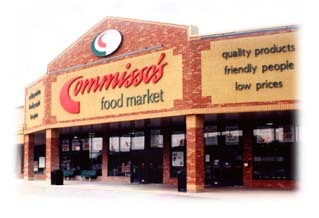 The Commissos supermarket dominates the Niagara, St. Catherines, Hamilton, Welland, Stoney Creek, and Cambridge regions, not to mention the outskirts of Toronto. Having thrived for over 40 years, the Commisso's grocery chain has weathered most of Canada's economic ups and downs. At the age of 50 - a time when most men are thinking about their retirement - Mike Commisso opened a 20 by 80 feet family grocery store in the small town of Beamsville, Ontario. 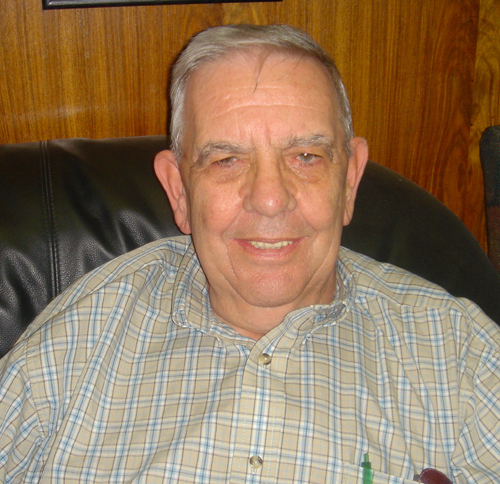 Mike opened the grocery's doors in 1962, having worked for the past 23 years in a local foundry. Mr. Frank Commisso, just prior to Goudas Food Products getting into the stores, told Mr. Goudas himself during dinner: "I love the quality of your chickpeas, and I use most of your products regularly in my house". According to Mr. Goudas, Frank Commisso is not only a very capable businessman, but above all a wonderful personality. New "READY TO EAT" products from Mr. Goudas. In the last few years Goudas Foods put an enormous amount of effort to produce the two cans shown in the picture, so he can be able to say that is perfect, as far as the taste and appearance, with the right amount of flavors and seasonings. If you are a rice and tuna lover, Mr. Goudas personally recommends that these products are state of the art in food preparation, and the spices and seasoning have been blended in perfect harmony, along with critical cooking time process, to make not just a meal, but "the meal". Early in 2001 the company decided to change the nectar ingredients to sugar free, gambling on the consumer's acceptance. 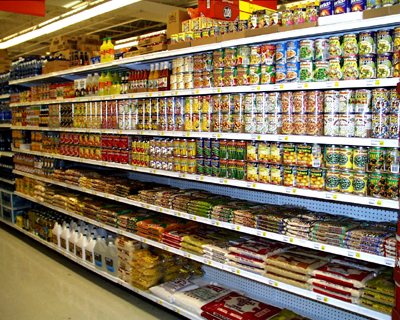 The results were positive and the consumer acceptance now allows the super markets to make displays. Goudas Foods is a pioneer in promotion and new ideas. As a result of that, we found out that ready skid displays not only provide an extra concept to the consumer, but also allow to cut costs at the store level and eliminate lots of garbage. And also, combining certain items within the same group in the same skid is effective. Since the skid is prefabricated from the Goudas Foods distribution center, we have to estimate the selling proportion of certain items. Of course, the skid proportion varies from area to area according to the different nationalities. This idea was digested from a certain number of stores. In the picture you can see an example of skid displays. 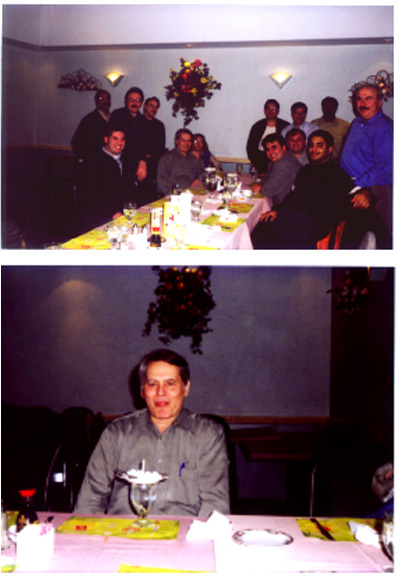 After a long business relationship, Mr. Peter Goudas and Mr. Ken F Shah became close friends. Ken Shah was not only a pioneer in the Caribbana parades, but also an active member of the Trinidad and Tobago association in Canada. After fighting with a serious decease, Mr. Shah (16/10/1938 - 04/05/2002) has passed away. This remarkable personality, and also this good friend, will be greatly missed. In the picture, Mr. Shah is congratulating Mr. Goudas while presenting him with an Award for supporting the Trinnidad and Tobago community. This was just a month earlier, at Mr. Goudas' surprise party for his 60th birthday. 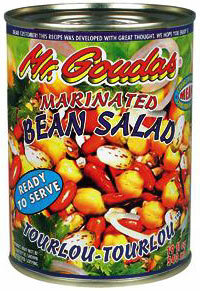 Known also as "Tourlou Tourlou", Mr. Goudas Marinated Bean Salad combines 3 varieties of beans and other marinating ingredients. The name Tourlou Tourlou was given to this product because it means 'a mix', and in this case it is a mix of beans and spices. As Mr. Goudas himself explains in the video below, to prepare a good marinated bean salad is not an easy task to do. In fact, the beans are prepared separately and the cooking times are measured to be precise. Any other competitor trying to make this product measure up to Mr. Goudas quality, has failed. The Marinated Bean Salad by Mr. Goudas is an excellent choice for any time of the day, as a side dish or apetizer; it is ready to eat and delicious! One simple idea would be to fill romaine (or any other type) lettuce with the bean salad. Enjoy! The Fruiterie store at 145 St. Joseph Ave, Saint-Jean-sur-Richelieu, in Quebec is now another one of the stores that carry a great variety of Mr. Goudas products. Visit the Fruiterie to discover for your-self the quality and amazing prices of its products. The photo displays various Mr. Goudas items on the shelves of the Fruiterie. 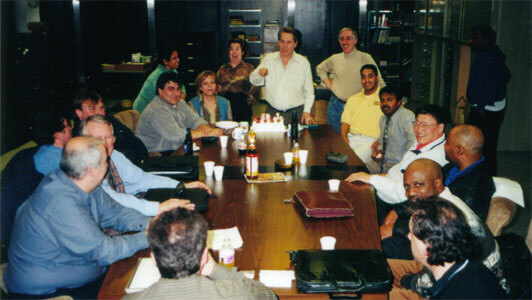 This picture was taken in 2002, in the secretaries' office. These are Mr. Goudas' three secretaries, always putting the best effort at work. Mr. Goudas humorously calls them the Three Stooges, and this picture reminds him of this tremendous trio inside Goudas Foods. 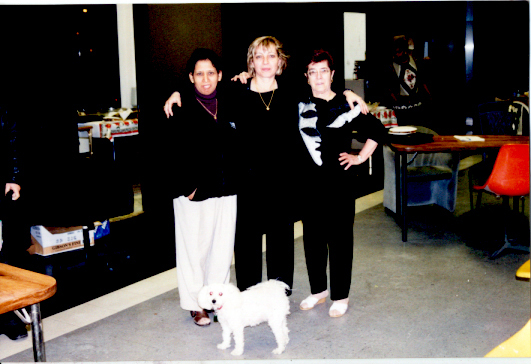 This picture was taken during the daily routine hours at Goudas Foods. 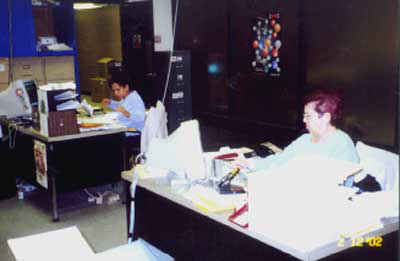 You can see how Mr. Goudas' secretaries are lost in papers, always working hard and always dedicated to Goudas Foods! 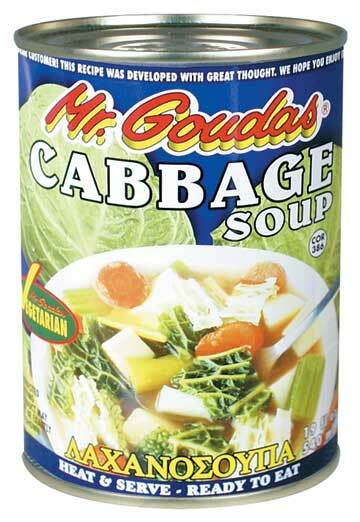 Herbies Pharmacy and Groceries is now carrying Mr. Goudas products! You can now find Goudas foods products at all Herbies stores. Visit these great stores and you will find a rich selection of Mr. Goudas products in unbelievable low prices! It was indeed a great pleasure to see your excellent web.site which has given a new dimension in the consumer goods presentation.While, I appreciate your dedicated efforts in this venture, I feel that it would present a long standing impact on the whole range of finest quality products around the world. I wish every success of your wonderful creativity for the present and the years to come.From your web site, I do understand that you were awarded as the best executive in the country in 1993. I am sure that the present level of success determines your strong ability which perhaps was awarded a decade ago. Interstingly, I had been to your Head Office to deliver one important document. While I was awaiting at the reception lobby, I was reading the Certificates which has been awarded to you in recognition of your outstanding generousity to the different ethnic communities.I am confident that those awards are best proof of the four criteria that the people who judged you in 1993. Wish you all the bests. Goudas Food Products & Investments Ltd. is known for contributions to various organizations that support absolutely needy, and desperate hungry people. At the moment, we are focusing on the unfortunate peoples of Iraq, and since their main staple food is rice, we would like to offer you a few thousand family sized bags, to deliver directly to the above mentioned people. After a long research for production of this product, the list of ingredients needed, the cooking time , the desired taste and apprearance, Mr Goudas finally introduced for the first time a soup of this kind in Canada. It turns out, consumers like it very much! In the Spring of 1972, Mr. Goudas had a grocery store in Kensington Market (Jewish market). 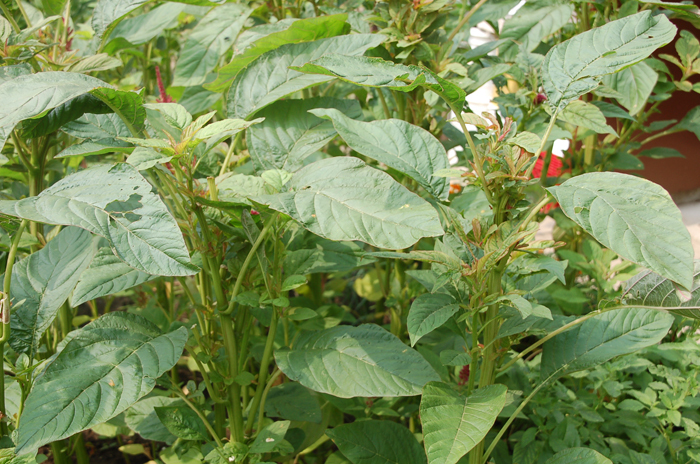 This particular vegetable grows wild in certain areas in Greece, as well as in Jamaica. The Greeks know this product by the name of "Horta vlita" and the Jamaicans call it "callaloo". It is an excellent vegetable, served with a little olive oil, and lemon dressing. It makes a wonderful, nutritious, side dish. Just because it grows wild, it is not cheap; it is very costly collecting this "wild bush", washing it, and harvesting it at particular times of the year, as well as canning it and capturing its freshness. Even though you may not know about this product, try it, we are very sure you will enjoy it. Sometimes words are not enough to describe the easiest ways of eating one of the best rice products out on the market today. Click on the picture to the right to view a larger version for instructions, and enjoy what only Goudas Foods can bring to your table. This product takes approximately 2 minutes to enjoy what currently takes close to 25 minutes to prepare. All the ingredients are included and ready to serve. The Maseca Cargo arrives at Goudas Foods! Oh, what happy news! Trains arrive in time at Goudas Foods distribution center! 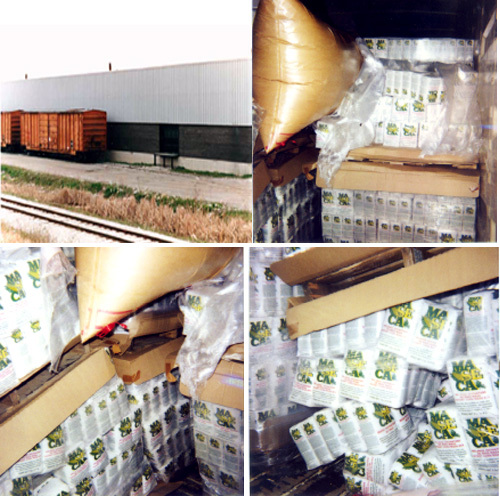 But this time, although great care is taken to protect the products during transportation, this cargo of Maseca flour didn't make it to the destination in a good condition. At the pictures you can see that despite the airbags to hold the product in place, sometimes the packages get damaged. However, the Maseca Flour, distributed in Canada by Goudas Foods, is always available for those that are looking for it on the store shelves. This flour is used widely by Mexican and Latin American people, to make corn tortillas, enchiladas, tamales, and other Mexican and Central American dishes. Canadian Tire Displays Mr. Goudas products! 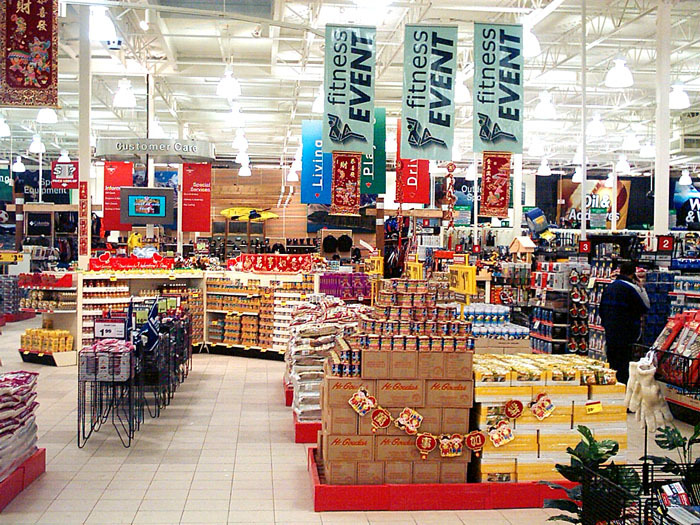 Canadian Tire stores in certain areas provide the consumer with the ability to purchase some of the finest products in the world, which come in huge displays within the store. The response of the general public to Goudas foods products is magnificent. It is anticipated that more and more stores will carry products from Goudas Foods in the future. And why not? We have grocery super-stores selling tires and hardware lately, it makes sense that Canadian Tire is now selling food! The tamarind (Tamarindus indica) is an evergreen tree native to Africa. It is now cultivated throughout the world's tropical regions. Tamarind trees are grown throughout temperate and tropical regions of the world, especially in Africa, southeastern Asia, and Mexico. The tamarind fruit is a seed pod, brown in color and several inches long, which contains a sour-tasting pulp. Due to its cathartic properties, the fruit was used in ancient and medieval times as a medicine. 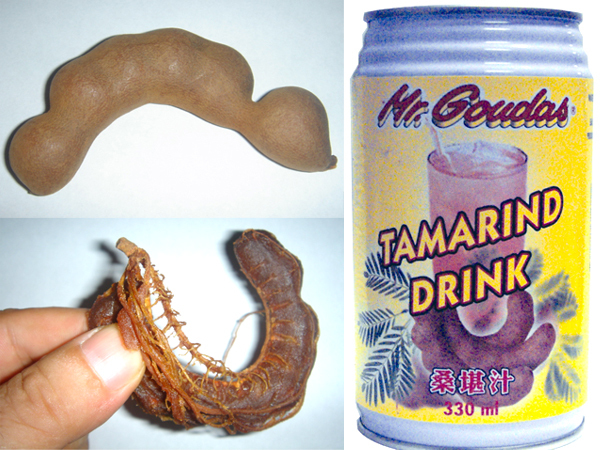 Tamarind Juice, a refreshing drink, is made by combining the seed pods with water and sugar. It is said to lower body temperature. The canned tamarind drink is now available by Goudas Foods in many grocery stores. 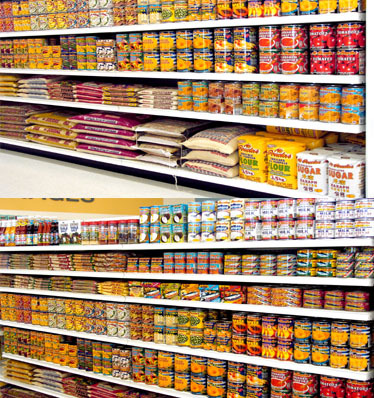 If you do not see the product on the shelf, you can ask the store manager to order it for you. Drink straight-up, on the rocks, or use in recipes and enjoy a refreshing and exotic flavor. Initially we thought that if anybody bought anything from a Pharmacy store it would be too expensive; but when we set up the first Shoppers Drug Mart Store at 2251 Lawrence Ave. E, Scarborough, Ontario, with our enormous assortment of Goudas Products, we noticed how competitive their prices for our products where. 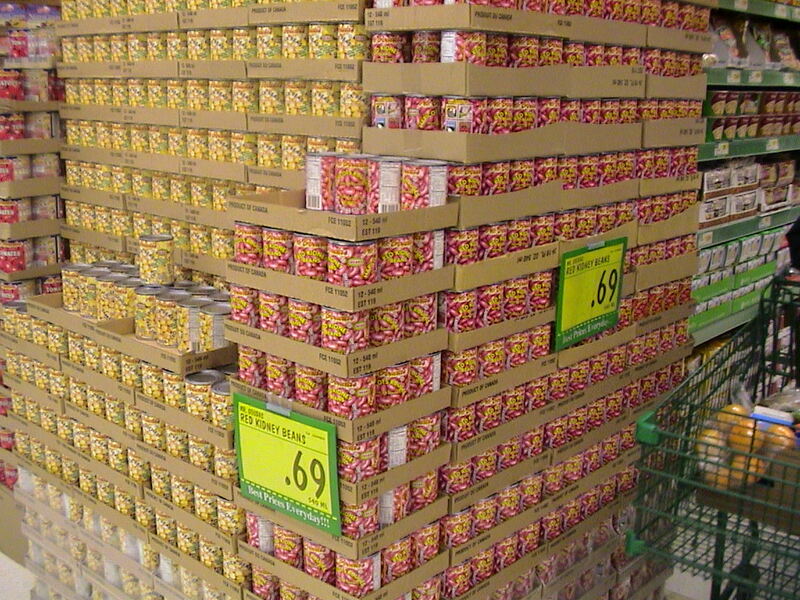 Most retail prices are equal and in some cases lower than your average grocery super market. Now pharmacy stores carry groceries, just like grocery stores carry pharmacies. With the MR. Goudas' Nutritious and healthy items such as Rice Pudding, Custard, Non-MSG Soups, and Sugar-free fruit nectars, etc, etc, there is no doubt in out minds that Shoppers Drug Mart is on the right path as more and more Shoppers Drug Mart Stores are assigned to Goudas Foods for set up. With the help of Ms. Irene of Nationwide Canning, under a partnership, we were able to develop a product uncommon, yet maybe the most satisfying product for the ever changing market demand. 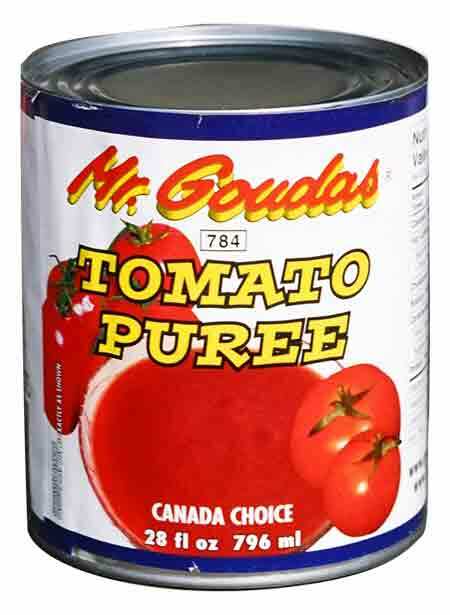 There are products in the market such as Crushed Tomatoes, which Goudas Foods already carries under his label for many years; however, both companies thought it would be a good idea to develop crushed tomatoes without the seeds. This new product is called Tomato Puree, with a limited amount of preservatives. This particular product will be available in more and more supermarkets under the Mr. Goudas brand, but sooner or later, imitations will surface in the market. 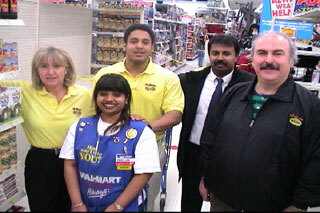 Mr. Goudas was very proud of this product, while in the testing stages in 2003. We are very confident that in the next season there will be more production, because we feel the quality is outstanding and will satisfy even the pickiest of customers. 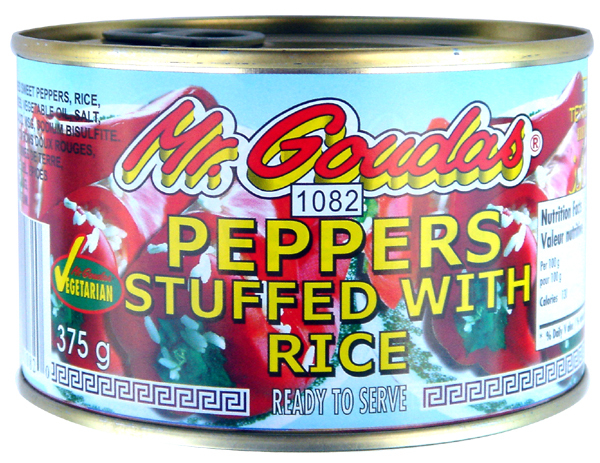 We also feel sorry for customers who cannot obtain this product at their favourite supermarket, due to some stores not carrying Mr. Goudas brands. Just because the name includes the word drug mart does not mean it only sells aspirin, toothpaste, cosmetics and paper towels. Shoppers Drug Mart now includes grocery items and a Goudas line of products for your shopping pleasure and to satisfy the multinational nature of our country. Our sales personnel are experts on the ethnic makeup of the area and therefore apply the appropriate products to satisfy the needs of the community around the store. 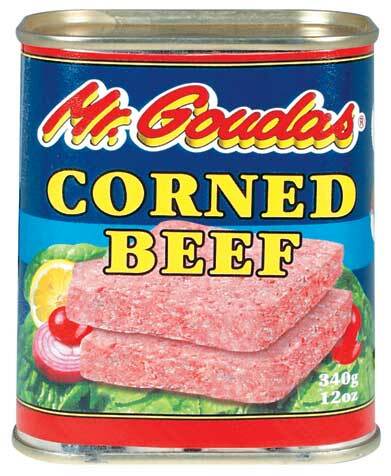 So, on your next visit to Shoppers, explore the store and you will find quite a few items from Goudas Foods. 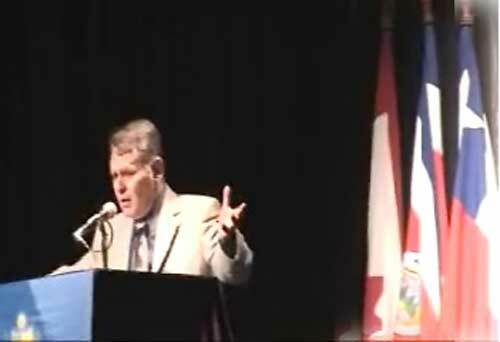 Today we dedicate this posting to the memory of Gary Raymond Cainer, Mr. Goudas' colleague and friend of many years. 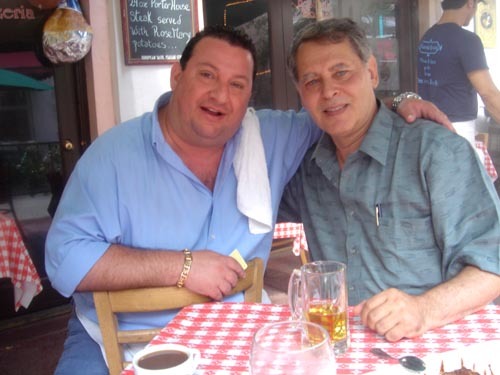 Gary worked with Mr. Goudas on the creating of label designs for Goudas Foods products, and their friendship counts for more than 30 years. He was a great man and a wonderful personality. He was also great at his work, precise, and creative. Longan is a fruit native to southern China and southwestern India and is commonly grown in Thailand, south-east Asia and surrounding areas. Longan is a small, round, brown fruit. The flesh or pulp is whitish, translucent, sweet and juicy. This flesh surrounds a smooth jet-black, shiny seed, which contains a circular white spot at the base giving it the aspect of an eye. Hence, Longan is referred to as the "dragon's eye". The Longan fruit is much esteemed by Thai fruit lovers who prefer to eat it fresh at room temperature. 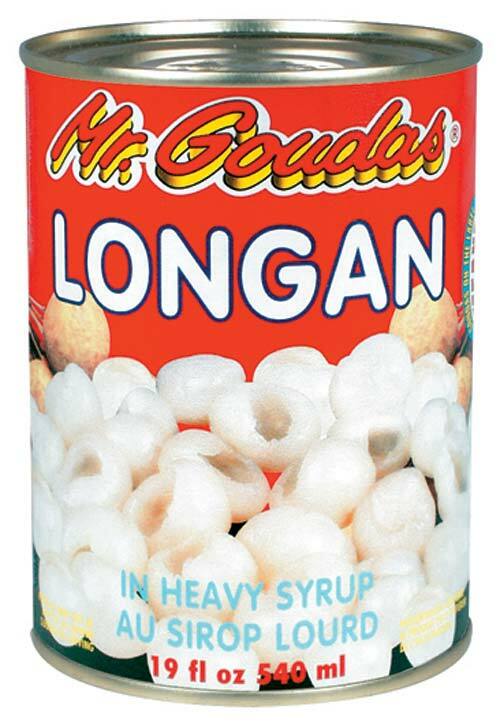 Canned Longan is best served over ice as a dessert. Goudas Foods is proud to be one of the first importers of this delicious product and hope both native Asians and Canadians alike enjoy this delicacy. Over the years, Goudas foods have given various donations to different organizations in absolute and justified need. However, during the same years, Goudas foods has also received requests from people who unjustifiably have asked for various kinds of donations and support. For example, a group of people asked Mr. Goudas to pay for their tickets to tour the Toronto Islands. In another case, a golf tournament group threatened to no longer buy Goudas Foods products, unless a donation had been made to the tournament. Such unjustified and unnecessary requests have brought a mixture of undesired feelings to our organization and are perceived as insulting for the nature of our generosity. In fact, one of the criteria for winning the Entrepreneur of the Year Award was a large number of donations made to needy organizations. It should never be forgotten that Mr. Goudas himself has once, early in his career, gone through very tough times of sleeping in park benches and starving for food. When growing Marijuana there is a technique of watering with flavored water a few hours before harvest to enhance the flavor and it really does work. One of the best things is Coca-Cola and although it doesn't taste like Coke, it does have a very nice fruity flavor. 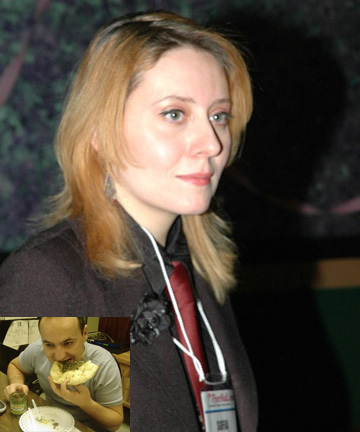 Lana Starchuk: I met the king of ethnic foods, the legendary Mr. Goudas, who serves up cultural diversity in a can! Lana: Remember when chili powder was the most exoctic spice you could find at your local grocery store. Well that was then and this is now. No other city in the world caters to ethnic diversity like Toronto. You can find almost every religion, music, language and food. Goudas Foods is a multimillion-dollar business. 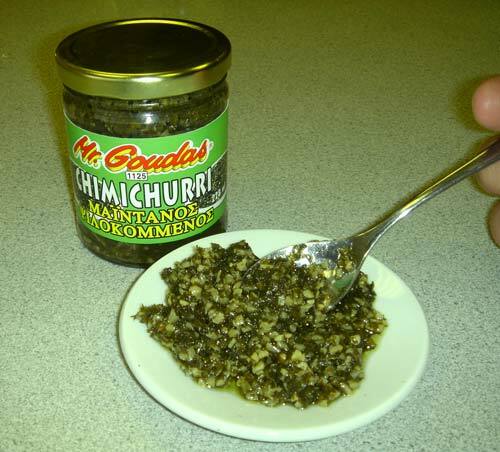 Not only does Mr. Goudas have 600 products under his own brand name; he distributes another 600 exotic foods under various other labels in Canada and around the world. To serve many communities at the same time, he can have up to fourteen (14) languages on one can. So just who is this Mr. Goudas, this emperor of ethnic food, this man for all seasonings. Tony Morello: Senior V.P. of Banner Merchandising for A & P, Dominion, and Food Basics, keeps tabs on their customer base through demographic research We really rely on census data quite a bit. So we look at the census data and get a good understanding of what consumers are in the area and then we try and stay with the times so as when the area changes, we try and change with it. It is a different tactic, if you will, for the location of the store. Some areas are primarily Oriental, some areas are primarily Arab. You have to change. The Muslim culture obviously has different needs and wants when it comes to the shopping experience than an Asian culture. So you really have to customize the"'micro market" for those specific areas. Mr. Goudas Coolz Spring Water! Yes, it is now out on the market! When the first container of Mr. Goudas Coolz Spring Water arrived at the Goudas distribution center, a bottle was brought to Mr. Goudas' office for him to try. When he finally finished the bottle, he had this to say "This is not just any water...this is the Holy water!" After he completed his Green Seasoning Condiment and used some in his cooking, the taste was enhanced so much that he found it impossible to vocalize or express the difference. He can only say that food without Mr. Goudas Green Seasoning is like a woman without makeup. He feels very, very sorry for consumers who shop in supermarkets, which do not carry his products and are therefore unable to experience taste in all its glory. Folk art of the month! Given a choice between the local Mr. Goudas and some upstart brand of ethnic food, I go Spyros Peter Goudas. Yes, there is a Mr. Goudas, and he has a fan club. It's just tacky enough, he has got useful delicacies (favachick and rambutan are recurring favorites), and he prefers to own part of the factories where the food is made. Quality control. It is ethnocentric and racist to assume that if a foodstuff is canned in Thailand it won't be as clean as something canned in Texas (or Huntsville), but this way Mr. Goudas knows for sure. Drain rambutan for dessert. Sautee favachick with shallots and garlic, which goes well with a grain. Like, say, basmati rice. The ten-pound bag of Pakistani basmati rice (Mr. Goudas sells multiple kinds of everything) is a work of folk art. Yes, it really does say PRODUIT DE LE PAKISTAN, and that really is a combination of Commercial Script and Balloon Extra Bold. Plus of course Hindi, Arabic, and Urdu. The design features two eye-gouging colors (this is one bag of rice I'm showing you) surrounding pastoral quasi-Hindu scenes that somehow recall grade-school lessons about Egyptian paintings of the harvest. I much prefer this kind of disastrous graphical and ethnic train wreck to that (melting pot) nonsense. Mr. Goudas celebrates his 63rd birthday! Mr. Goudas has just turned 63. Yes, 63 even if you don't believe it! In the pictures, you can see him celebrate with his friends and employees, as well as posing for the camera freshly groomed. Did you know that Mr. Goudas always grows a beard before his birthday, but then, on that special day, he shaves it off? You may wonder why, but we're sure you can get the clue by looking at his picture. Doesn't he look younger??? We all wish him a happy birthday and continued success with his business! 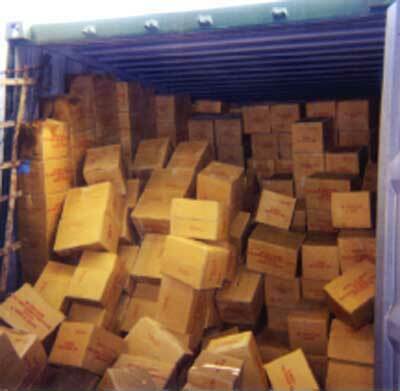 Although the overseas suppliers work to the best of their abilities to stuff the shipping container properly and make sure that everything is in order, every once in a while we receive containers in a condition like these on the picture. This proves that even the ocean liners travel through hills and valleys! Spyros Peter Goudas Foods produces the best Basmati rice, and for that, there is no doubt, according to the huge amount of consumers that buy it regularly and constantly, and send letters of congratulations to Mr. Goudas. This kind of rice comes in three different kinds of grains: those that have a good aroma, those that have a good taste, and those that have the length. Mr. Goudas blends the rice accordingly, to satisfy tastes of different nationalities, who prefer different grains. 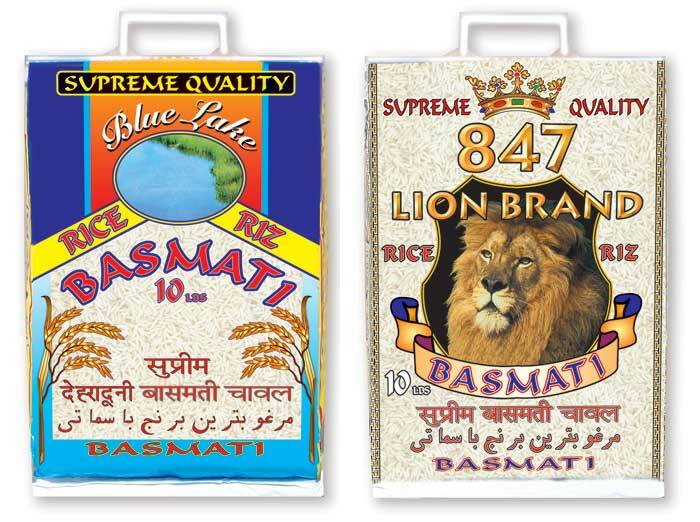 The consumers of Basmati Rice include mostly Indians, Pakistani, Iranians, Afghani, Somalians, Middle Eastern people, Ethiopians, etc. 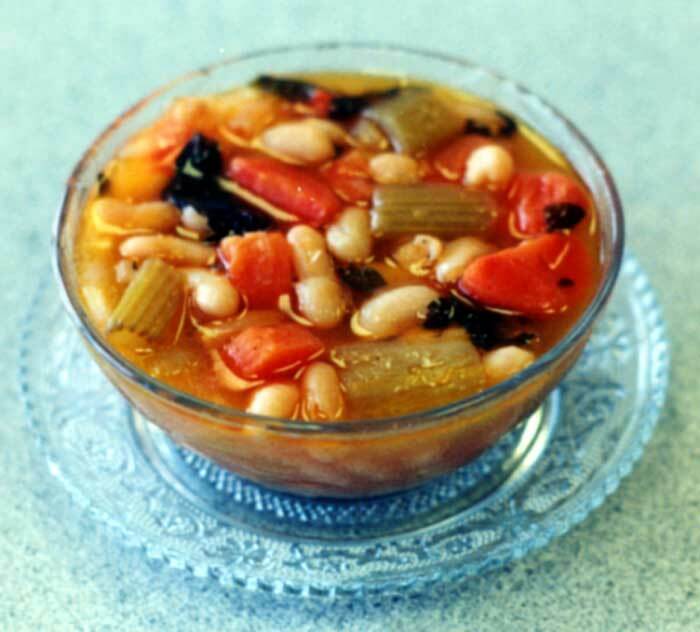 Canned beans in water (or brine), found in most grocery stores, are quick and convenient to prepare bean dishes. Store canned beans in a cool, dry place and use within a year of purchase for best flavor and texture. They are precooked and just need to be drained and rinsed under cold running water before use. Drained and rinsed canned navy (white pea) beans in water may be added in place of soaked and cooked white pea beans in any of our dry white pea bean recipes and the dry white pea bean recipes in The Supreme Bean. 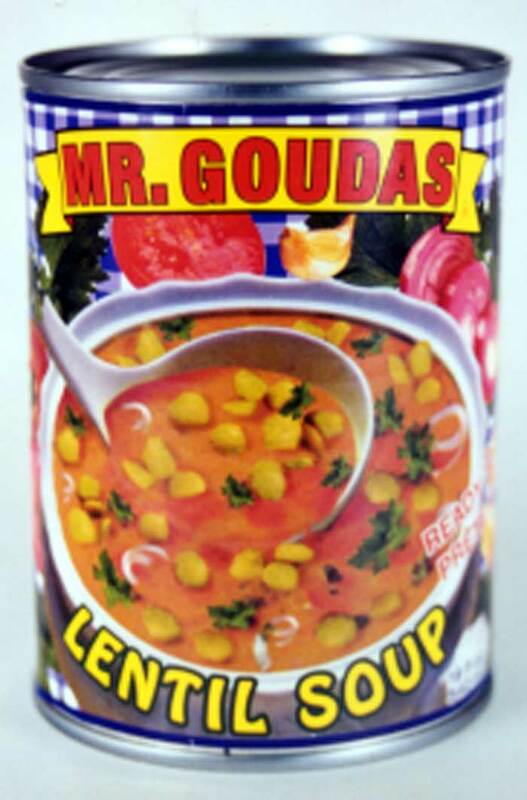 Goudas Foods Company Ltd. has an excellent selection of canned beans in water under the label Mr. Goudas, such as navy (white pea) beans, soybeans, kidney beans, chickpeas, black beans, pigeon beans, yellow-eye beans and lima beans. It is mid-day, Saturday, and most of the people are enjoying their weekend boating, fishing, washing their Porsche, bicycling, or on vacation. The accident happened late last night when the company located next to Goudas Foods hired an excavator company to make a drainage ditch, and accidentally cut the telephone wire system to the whole building. Obviously, Goudas Foods cannot be without its telephone system, which includes High-Speed Sympatico Internet, Electronic Data Interchange service, and various other connections to Food Programs around the world, like The Food Network. 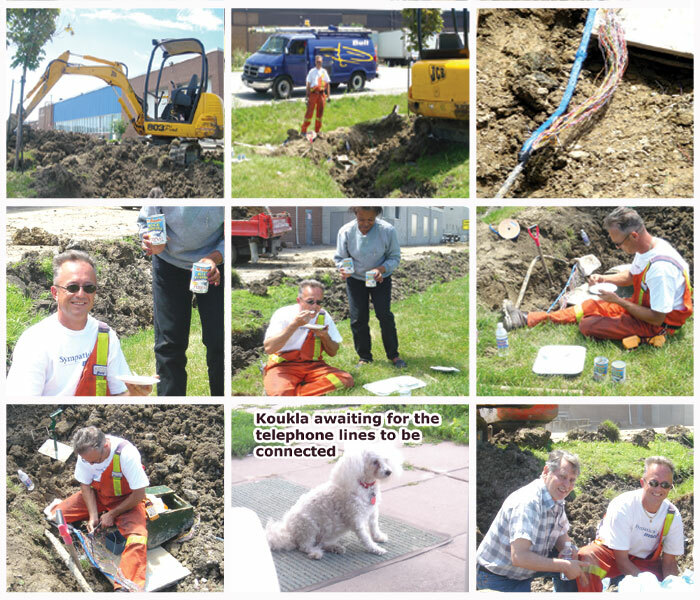 We are happy to say that Bell Canada reacted as quickly as possible to rectify the situation. Here I am puzzled since the wee hours of the morning trying to figure out how to solve this problem. Goudas Foods brings Bulgaria to Canada! 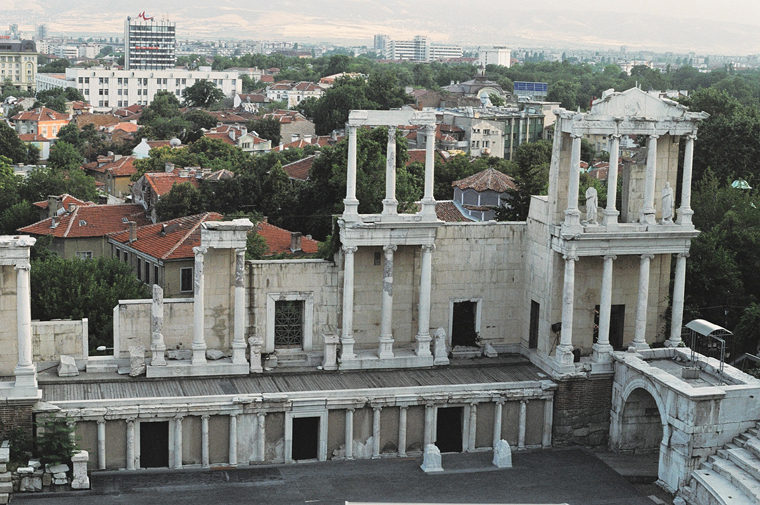 This summer, Goudas Foods decided to send one of their staff to Bulgaria, in order to explore business opportunities. The impressions from the trip, and all the outcomes and new ideas for the company, have all been included in the archives section, in the article with the title "Goudas Foods brings Bulgaria to Canada". As the parents worked, the children of the okra pickers played around the camp, trying to keep as quiet as possible. 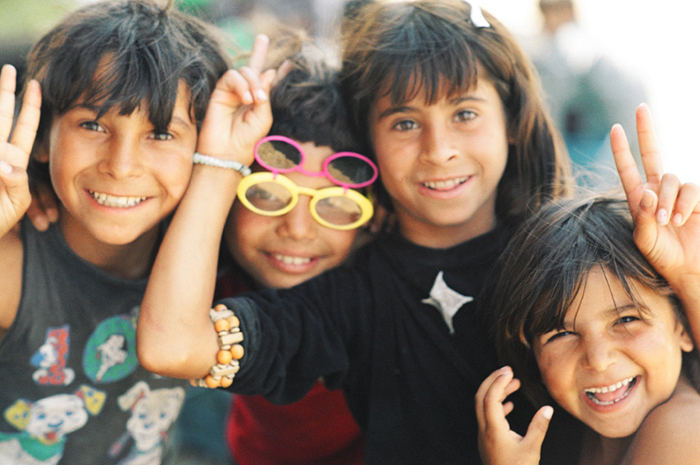 They were very captivating they had beautiful little faces, the warmest smiles, and the shiniest sparkle in their eyes. They were really excited to see me taking pictures of the fields and the camp, and some of them posed for me in front of the camera. As we were getting back in the car, they came to greet us and thanked me for the pictures. I will never forget these people, their warmness, their sincere smiles, and their simplicity..."
Okra in cans are availble in a few varieties: Okra in Water - Item 91, and Okra in Tomato Sauce, a ready-meal format, Item 1080. Since this item is very difficult to process, sometimes we do not have enough inventory to last a full year. Those of you who have had the privilege to try the Okra in Tomato Sauce, will agree the Mr. Goudas placed a lot of effort in creating some of the finest ready meals in the world. The recipes are designed to satisfy even the most difficult to please. Every year, Mr. Goudas supports the World Wrestling Events. This year, he was promoting the Power Drink, a drink made especially for athletes, at the "WWE Summerslam", on August 15th, 2004. In the picture, the Diva Wrestler Gail Kim smiles, apparently being very excited to meet Mr. Goudas, the manufacturer of some of the foods she loves! Goudas representatives attend the Olympics! This year, Goudas Foods representatives are routing for the Olympic Games held in Athens. Bringing not only the young and enthusiastic spirit at the games but also the presence of all Goudas Foods members who could not attend, Spiros and Ntina Goudas (in the picture) are excited to be assigned this mission. Pepsi Americas collaborating with Goudas Foods! 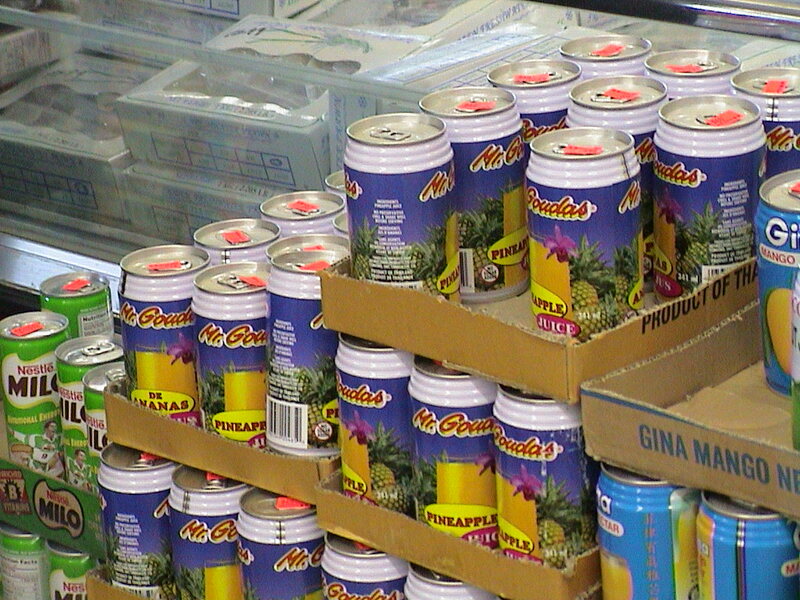 Panos Goudas has recently negotiated with Pepsi Americas and reached an agreement for the distribution of various soft drinks like the Ting grapefruit drink, and the D&G soft drinks (for example the Whiteway's Peardrax, and Whiteway's Cydrax) as well as D&G Ginger Beer, D&G Sorrel Fizz, D&G Orange, D&G Malt, Fruit Punch, Cream Soda, Pineapple, and Kola Champagne. All these drinks are of exceptional and original quality. The VP of Caribbean Exports, Mrs. Stella Rosen, visited Goudas Foods to proceed with the agreement. 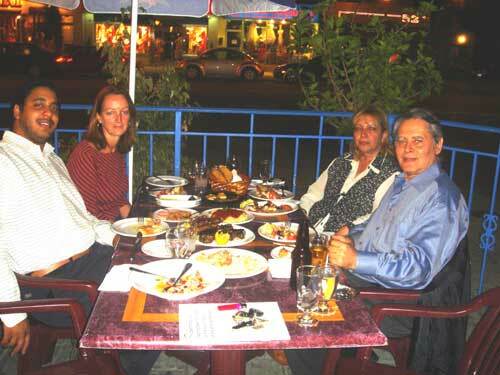 In the picture from left to right: Panos Goudas, Stella Rosen, Niki Stamatakos, and Peter Goudas. Costa Rican Newspaper featuring Mr. Goudas! The Alimentaria Newspaper, the most popular business newspaper in Costa Rica, dedicated a two-page article especially to Mr. Goudas when covering the CACIA conference of food businesses held in Costa Rica this Summer 2004. "Peter Goudas: Los Alimentos son un excellent Negocio Pero require mucho esfuerzo", which translates as "Peter Goudas: The food business is an excellent one, but it requires a lot of effort". As a representative of the Canadian Food Industry, Mr. Goudas demonstrated how hard work and dedication, always targeting high quality, is the key to success. And he can prove that by presenting Goudas Foods, a company which incorporates the volume of production with a continuous focus on quality. Here at Goudas Foods, the food business does become an excellent one! Mr. Goudas explores the Colombian Opportunities! 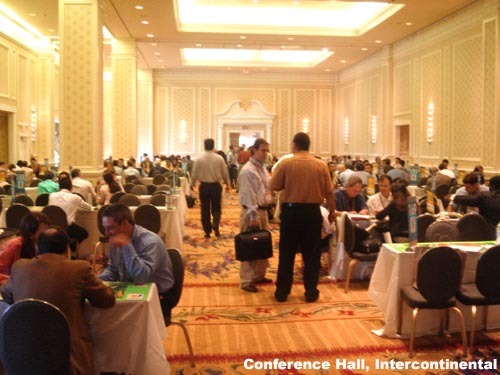 Mr. Goudas recently visited Miami, as an official invitee to attend the Colombian Conference of businessmen and women. For this exciting trip, Mr. Goudas himself wrote his impressions on a paper, and we put it all together in a special article with the title Colombia: A World of Opportunity. This article, located in the archives section, contains a number of interesting happenings and many pictures from the various activities Mr. Goudas attended. The 18th Annual Conference on Transportation Innovation and Cost Savings was held at Rattlesnake Point Golf and Country Club in Milton, Ontario. As has been the tradition in previous years, the conference featured the rotational luncheon with the Denise Baker Jazz Band. 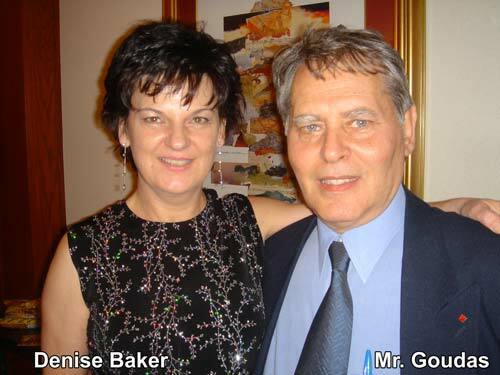 Denise Baker stressed how much she loved Mr. Goudas products and insisted on a picture with Mr. Goudas himself. You guessed it. Goudas foods has revolutionized the art of becoming a couch potato, by making a meal extremely delicious and home made. It comes in other varieties such as, stuffed Peppers and Rice, stuffed Cabbage Rolls with Rice, stuffed Tomatoes with Rice, and who knows how many more will come out in the near future. Click Here to see how to prepare stuffed tomato, green peppers, and zuchinni dishes. 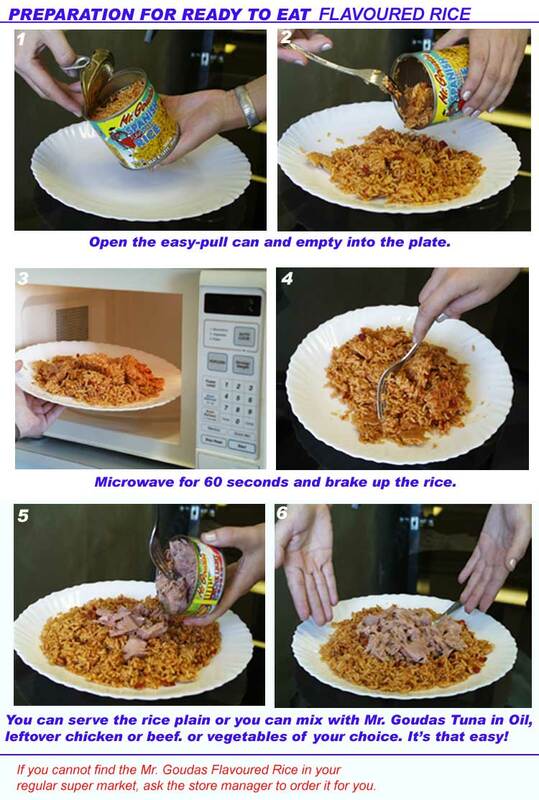 The commercial on how to prepare these types of dishes was made many years ago, however with this new product launch, it will give you an idea on how much care, quality control, and precision for mass production, as well as stability tests, are needed to make this product in a can a complete meal. "Don't worry Mr. Goudas, it will go away soon! Take a look at the picture on the side. Can you see how red that eye area is? Imagine what an unbearing feeling it must be to have your eye in that condition! Now, imagine how much harder it gets when you have to read thousands of letters, review hundreds of documents, and stare at a computer screen for hours. The past week, Mr. Goudas has being going through all this trouble you just imagined. His eye became red all of a sudden, and it started bothering him more and more by the minute and the situation wasn't improving at all. My Name is Andy MacPherson. I was an inspector for more than 20 years in the Processed Fruit and Vegetable division of Agriculture Canada, and then the Canadian Food Inspection Agency. Over the years I inspected Mr Peter Goudas premises many times. At no time in my dealings with his company as government inspector did we have any major problems with the quality of his products. This magnificent replica of the Leaning Tower of Pisa has been constructed and is being displayed in the lobby of the Toronto Dominion Building in the heart of downtown Toronto along with some other equally majestic structures. 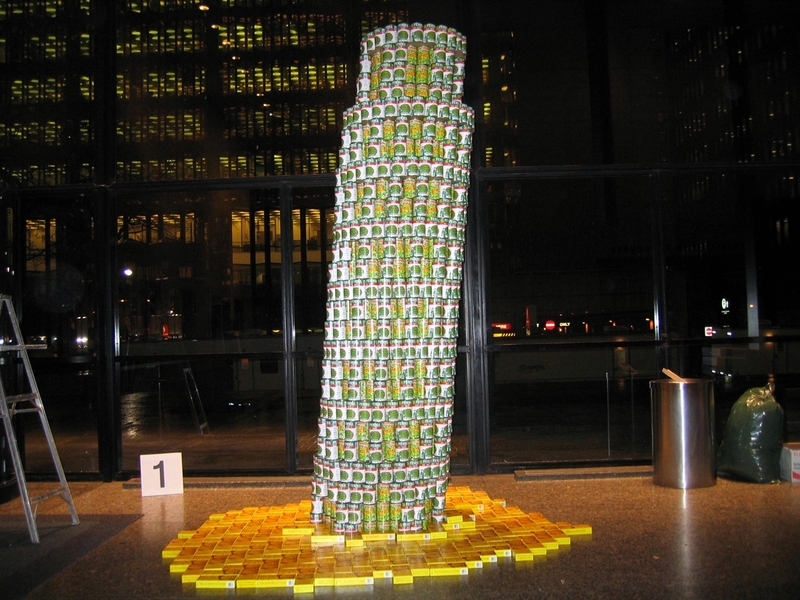 These structures consist entirely of canned goods, upon careful examination you will realize the Mr. Goudas canned Sweet Peas is a prominent item in this magnificent structure. It takes lots of creativity, understanding, planning, patience, imagination and the casting of the best quality material to assemble. You get ,new teeth, at ages 7 and 57! This is another funny story that we thought would be appropriate. We previously told you about Mr. Goudas 30th anniversary celebration of his coming to Canada. This story, however, relates to his 60th birthday celebration. Mr. Goudas was informed that it would be a very private celebration between Marina, his sister, Niki, and maybe a couple other friends. He arrived at the restaurant in anticipation of a quiet dinner only to discover that there were one hundred people gathered on the second floor of the restaurant to celebrate this occasion with him . Mr. Goudas was invited in Costa Rica to give a speech at the Cacia Conference, where a great number of business people and factory owners were gathered to share their knowledge about business and discuss partnerships and other business related ideas. Mr. Goudas' speech was very successful and he had the opportunity to meet a number of important Costa Rican business people. However, his few days stay in Costa Rica were not spent only doing business; Mr. Goudas had the chance to take a trip around Costa Rica and visit all the traditional places. He took everything on tape, and also took many pictures, so he could share his experiences with our viewers. Costa Rica: The World,s Best Kept Secret! It is Tuesday early afternoon, today things are moving slowly in the office, as Mr. Goudas is absent. For the first time in years he is not coming to work because of a serious cold, which is forcing him to stay in bed. Apparently the air conditioning in the plane got another victim. When Mr. Goudas was in Costa Rica to give a speech for the Caccia Organization, which involved countries from Nicaragua, Panama, Costa Rica and El Salvador, every time he was going to a different restaurant for a snack, the restaurants always served two items in a little plate. One of them was a black bean paste, and the other was a green mix of some kind. His curiosity of this green paste grew with every meal, and he soon wanted to find out exactly what it was. WWW.FLYERMALL.COM - The amazing flyers website! Spyros Perer Goudas thought the recommended website was a great idea and he bought several spots, banners, and advertising rights as a financial support until Flyermall.com becomes successful. Wal-Mart Canada Inc. Goes Multicultural! WAL-MART Canada Inc. has shown it's intent to become player in the Canadian multicultural retail food industry by launching a full line of the famous Mr. Spyros Peter Goudas label products, which in itself commands an impressive following and motivates shoppers to go from store to store to get these products. Mr. Goudas recently took a business trip to Miami. The purpose of the trip was to meet with various food processors from Colombia, discuss business opportunities, and review samples of products as well as business propositions. This trip turned out to be very beneficial for Spyros Peter Goudas. However, Mr. Goudas did not enjoy only the business environment in Miami. On the last day of his stay there, he had the chance to get acquainted with this beautiful city. He saw the beautiful beaches, the big city architecture, took a walk at the center, and mingled with other locals and visitors experiencing the fast pace and vivid atmosphere on Miami's streets. As Mr. Goudas was walking around the streets, approaching lunchtime, he walked into an Italian restaurant, the Hosteria Romana, on 429 Espanola Way, Miami Beach. This restaurant was founded four years ago from Marco, an Italian who came to Miami from Rome 20 years ago. Mr. Goudas got acquainted with Marco and they talked about their experiences in the food business, one as a producer and the other as a great chef. Marco turned out to be not only a great chef and a very successful restaurant owner, but also a very interesting personality, with the characteristic warmth and friendliness of the Italian people. One morning at 4 am, Mr. Goudas arrives at his office, which is the norm after so many years, and starts his day with his 67 years young personal assistant (Maria), where she has already made his morning coffee. His day normally starts with 1002 problems, however, his motto is "Let's forget the 1000 problems for the moment, and concentrate on the 2". The morning time slowly passes, and at about 10:00 am, the mail arrives, where one person receives a letter from Mr. Jim Gunn about Mr. Goudas Cabbage Soup and reads Mr. Gunn's letter in a very soft voice to all the office employees. They were all thinking whether it is wise to relay the letter to Mr. Goudas in fear that he may suffer an acute heart attack after reading the contents of the letter. A bouquet of ... Honey! What happens when 7 flowers are brought together? 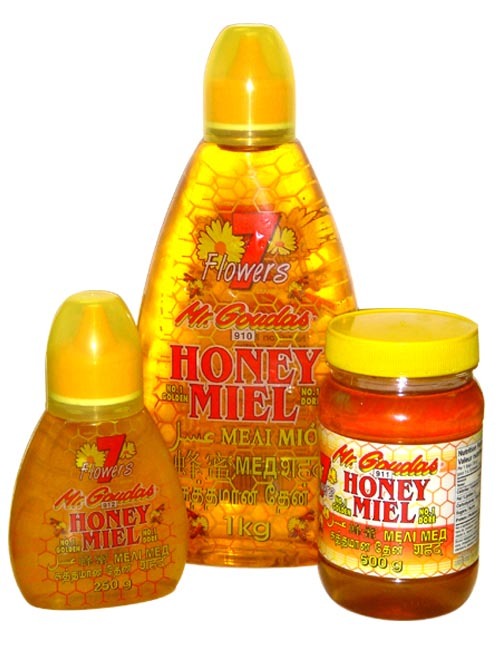 No, you do not make a bouquet of flowers, you make the best honey in the world, the Mr. Goudas 7 Flowers Honey! This honey is made in Bulgaria, where these rare flowers which make the best honey grow, and is brought to Canada by Spyros Peter Goudas. This original idea of mixing honey from different flowers, has proven to be brilliant! One taste of the 7 Flowers Honey is convincing enough; this honey even smells like flowers! Friendly reminder from Spyros Peter Goudas: If these products are not available at the store where you presently do your shopping, then ask the manager to order them for you. If your request is not met, that means that you may have to consider changing store. Mari finally dropped by to show off her baby boy. Kevin, healthy, happy and hungry came to say hello to Mr. Goudas and staff. Congratulations to Mari and Nikolay. Mr. Goudas already has him as a candidate for the new generation sales force. Mari is enjoying her maternity leave. Best wishes to the whole family, from the whole Goudas organization. You may also view Mr. Goudas giving the bride away Februay 29, 2009.